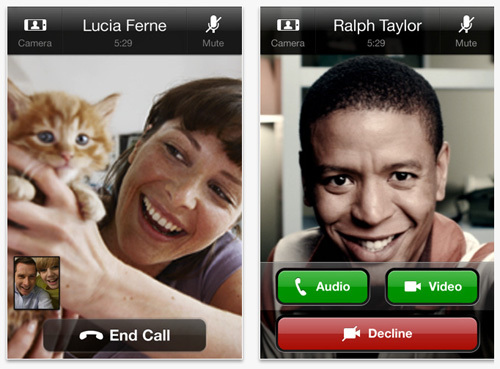 The 2-way video calling feature can be enjoyed on iPhone 4, 3GS and iPod Touch (4th Generation). But the users with iPod Touch (3rd Generation) and iPads can only receive video and can’t send the video. The video calling feature on Skype 3.0 works in both portrait and landscape mode and use both front and back cameras. The Skype app is totally free of cost and you can Download it from iTunes. Good news for iPhone 4 and iPod Touch 4G Skype users. Its great, now need off Sitting in front of the PC , Great News for Iphone Users! Thanks Simrandeep! Great thing because its a non jailbreak app! This is cool! But I wonder why it doesn’t work fully on iPod Touch (3rd Generation)? Any idea? Because it doesn’t have a camera. It could only send the Audio but receive the video and audio. Skype 3.0 is a very suitable App for those iPhone User’s who need to make video calls to their friends and family. This is very good. Skype to Skype video calls on WiFi is awesome feature !! with the new facetime on new apple iphone, it become simpler to chat. skype works well too..